"What’ll ya have… What’ll ya have?" 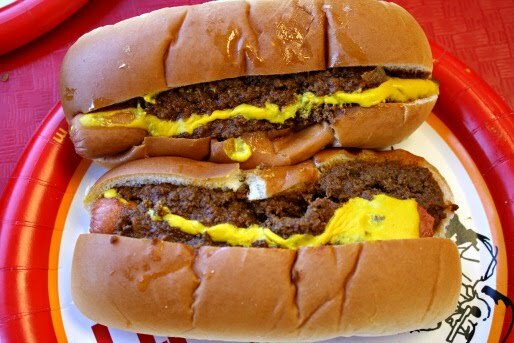 There’s no friendlier greeting than the one you’ll receive when you step up to the counter at The Varsity. And that’s just the beginning of what makes The Varsity so special. There’s not a faster, fresher, or more fun-filled dining experience like it anywhere! Gordy family-owned and operated since 1928, The Varsity is a downtown Atlanta institution, and The World’s Largest Drive-in Restaurant. Brown ground beef in skillet and drain fat. Add all ingredients and combine in crockpot, stirring to mix thoroughly. Stir well, reduce heat to LOW and continue cooking for 6-8 more hours.